Raqesh Vashisth is an Indian television actor and model. He was born on 1 September 1978 (age 40) Amravati, India. He is famous for his work on Indian television and movies. Raqesh made his debut with the serial Saat Phere – Saloni Ka Safar as Neel in the year 2005 and in movies with Tum Bin in the year 2001. University of Mumbai, Mumbai. Raqesh Vashisth is married to Ridhi Dogra. He was born on 1 September 1978 (age 40) Amravati, India. Raqesh made his debut with the serial Saat Phere – Saloni Ka Safar as Neel in the year 2005 and in movies with Tum Bin in the year 2001. He is married to Riddhi Dogra. He also did ad commercials before working in movies. Raqesh is an animal lover. He was the runner up in the 1999 Grasim Mr. India contest, and first runners-up at the Mr Intercontinental. 2018 Tu Aashiqui as Reyansh Diwan. 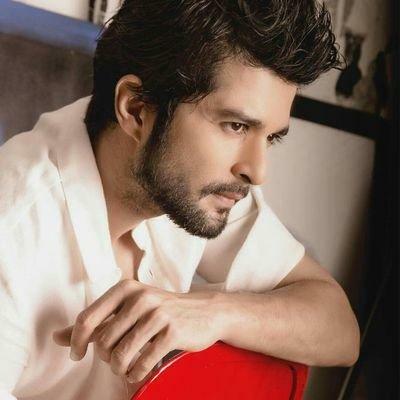 Raqesh Vashisth also worked in Marathi language.